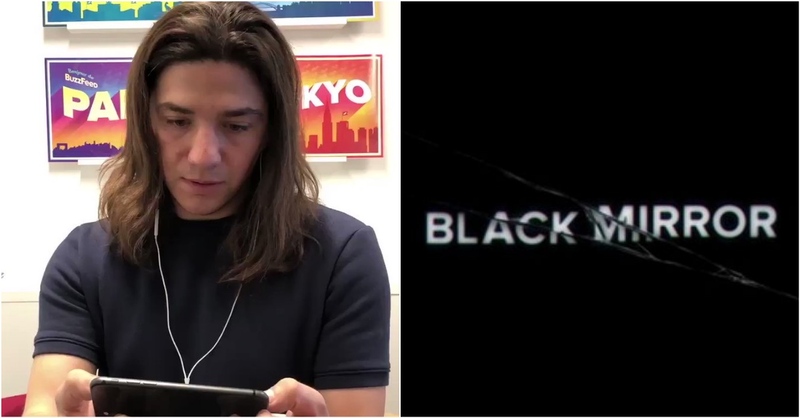 The Reason For “Black Mirror” Having This Title Is Super Creepy! A big mystery surrounding the anthology show Black Mirror has been revealed, for a majority of fans actually and has them creeping out since then! The charm of Black Mirror has always been how it sets its stories in a not-so-distant future but still grounds them enough for them to feel like a part of a detached yet spooky present. But the title of the show has always been a cause of debate among the show’s fans who have been contemplating upon theory-after-theory as to the true meaning of it. It was all for nought, actually. In 2011, the show’s writer and creator Charlie Brooker revealed the meaning of the show’s title, and for a new wave of fans the realization just came crashing in. When You Stare Into The Abyss, The Abyss Stares Back! This is honestly staggering information and I don’t know what to do now. While others just felt bad it took them this long to realize. Just dawned on me that the title “Black Mirror” refers to any screen when it’s turned off: monitors, smart phones, TVs, etc. Yes, I’ve watched all 3 seasons. Yes, I was just cleaning my work monitor when I figured it out. Shut up. Oh my god i feel like such an idiot for never catching that meaning hahaha. That show just got infinitely better, as if the “pig” episode wasn’t enough to sell me! Six years late is better than never, I guess. For a show known for its twists, the best one might have been staring us in the face all along! Shocked? Well, count us in too! What do you think of the twist? Let us know in the comments below! Previous PostPrevious Netflix’s “The End Of The F***ing World” Scores 100% on Rotten Tomatoes! Next PostNext What a Government Run By Disney Princesses Would Look Like!